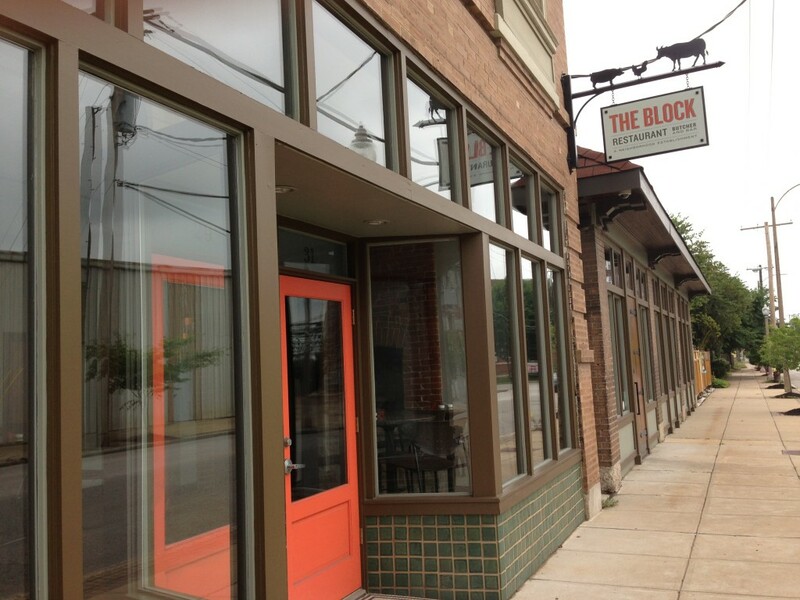 The Block Restaurant in the Central West End is a welcome addition to the neighborhood. The Block is located at the intersection of Sarah and West Pine, less than a block from where I live. 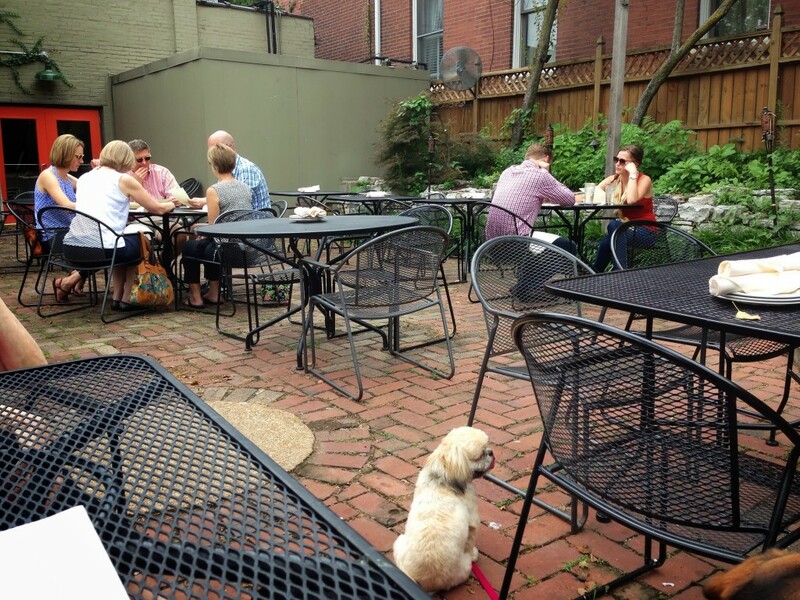 Compared to the Central West End restaurants located in the Euclid strip, parking is is easy and the large fenced patio means the world isn’t walking by on the sidewalk checking out what is on your plate. When The Block opened a few months ago in the Central West End, or CWE as we like to call it, the restaurant had much more limited hours than the Webster Groves location. They were closed a few days a week and only open for dinner. 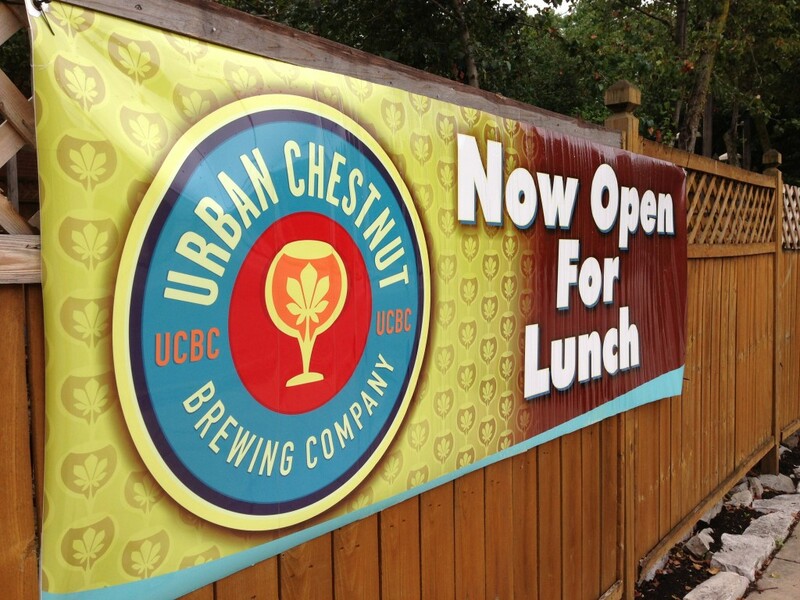 A few weeks ago I noticed this sign along the patio fence – Now Open for Lunch. Then I noticed they were open on Monday nights too, originally a day they were closed. According to their website, the Central West End location is now open for dinner Monday – Thursday from 5-10 PM and Friday – Saturday from 5-11 PM. They are open for lunch Monday – Friday from 11 AM – 2 PM and there are plans to open for Sunday dinner. 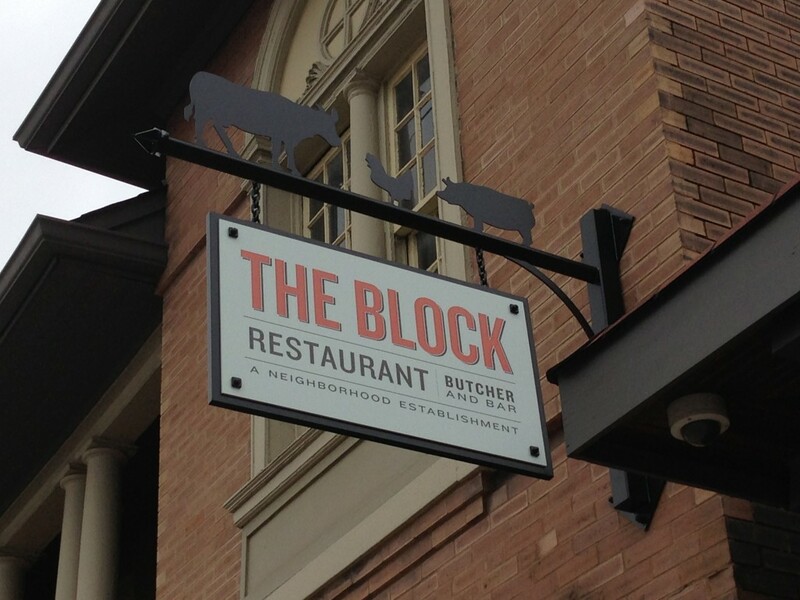 I’ve now eaten at The Block in the Central West End three times. The first time was shortly after they opened. A friend and I created our own tapas menu out of appetizers and side dishes. We ordered a flat bread pizza (can’t remember what was on it), flash fried brussels sprouts and baked mac & cheese. We loved everything we ordered and our waitress was very gracious about turning our meal into a tapas dinner. The next time I was there I went with one of my neighbors. We brought 3 dogs with us and sat on the patio. I have to say, they were great sports about the dogs. Once you let them know you have dogs, they open a side gate to the patio that is normally closed so you don’t have to walk the dogs through the restaurant. They brought the dogs water bowls…which our dogs promptly knocked over. On this visit, I ordered the Double Star Farms Amish Chicken. But the best thing about this meal was they offered a single beef rib for just $3 with the purchase of an entree. The rib was fabulous and huge. I will definitely do this again the next time I’m there for dinner. It was a little buggy on the patio. I suggest applying some bug spray if you plan to sit outside in the evening. Just after the lunch sign went up, I made sure to stop by for lunch one day with my mom, our dogs and my foster dog Padme. The patio wasn’t crowded and they let us pick our table. We opted for a table on the upper section of the patio, away from the sidewalk on West Pine since the dogs barked when people walked by the last time I was there. We grabbed a table away from the main serving pathway, which gave the dogs plenty of space to move about without disturbing anyone else. 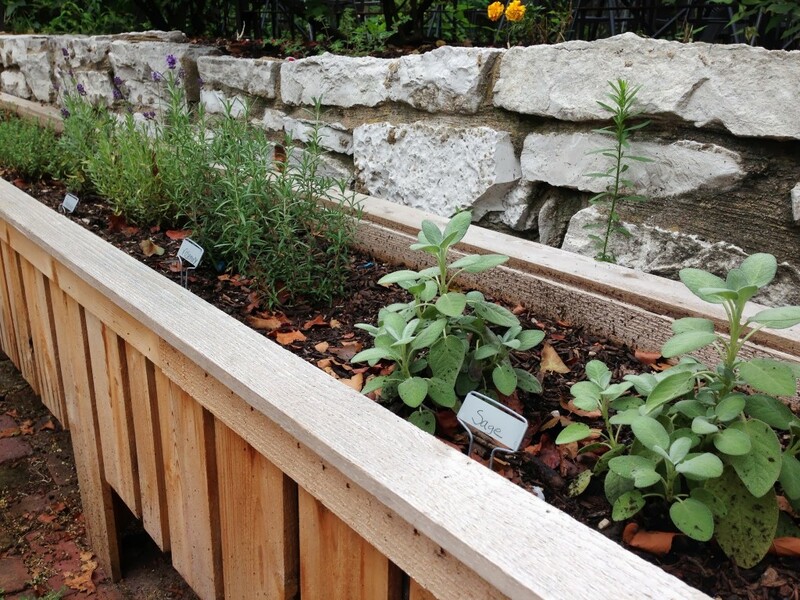 One of the things I like about The Block is that they focus on locally sourced ingredients. 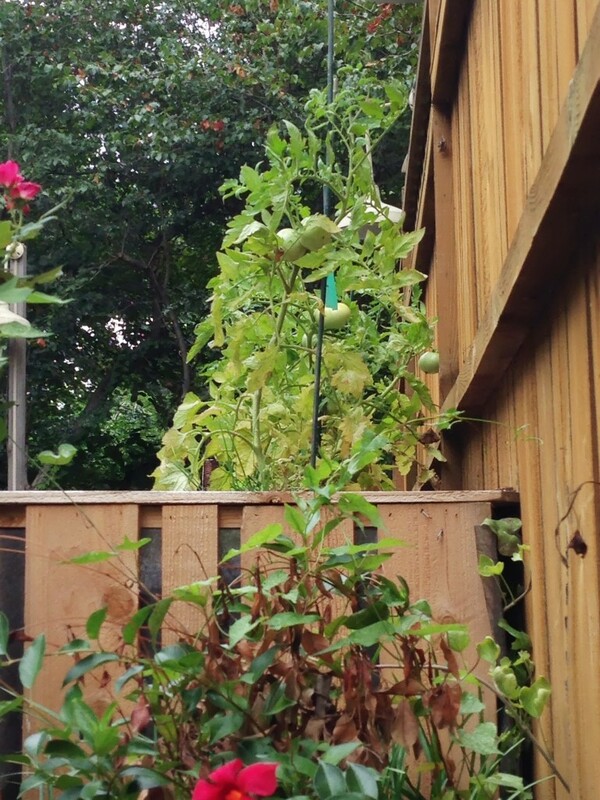 They also grow their own herbs and some vegetables on the patio. I was looking forward to checking out the lunch menu and it offered a lot of appealing options. 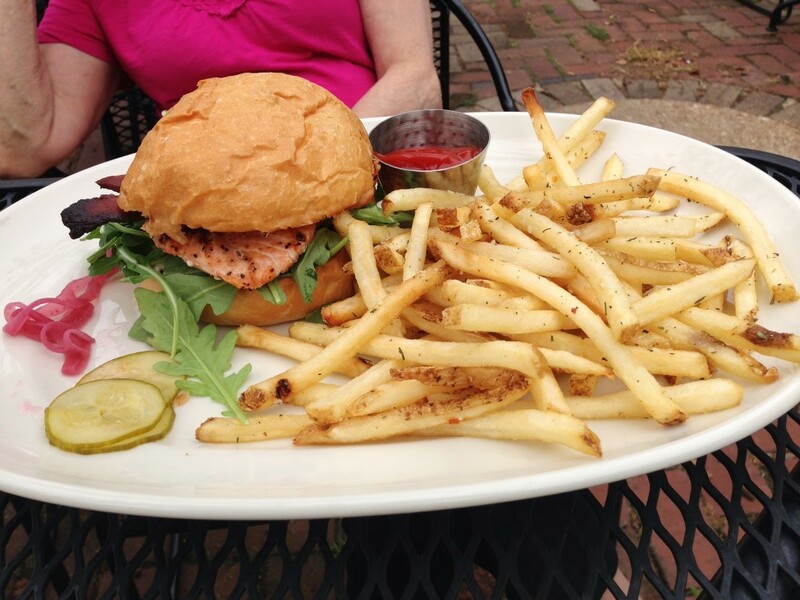 My mom ordered the salmon club sandwich. She gave me a taste and it was really great. I ordered the Lemon & Feta Ravioli with smoked shrimp and asparagus. I wish I could say I loved it, but I didn’t. I could have sworn that it must have been made with blue cheese, the one kind of cheese I don’t like. I showed it to the waiter, and he thought the same thing when I pried open a ravioli. He took it back to the kitchen but the chef insisted it really was feta. Oddest feta I’ve ever tasted. 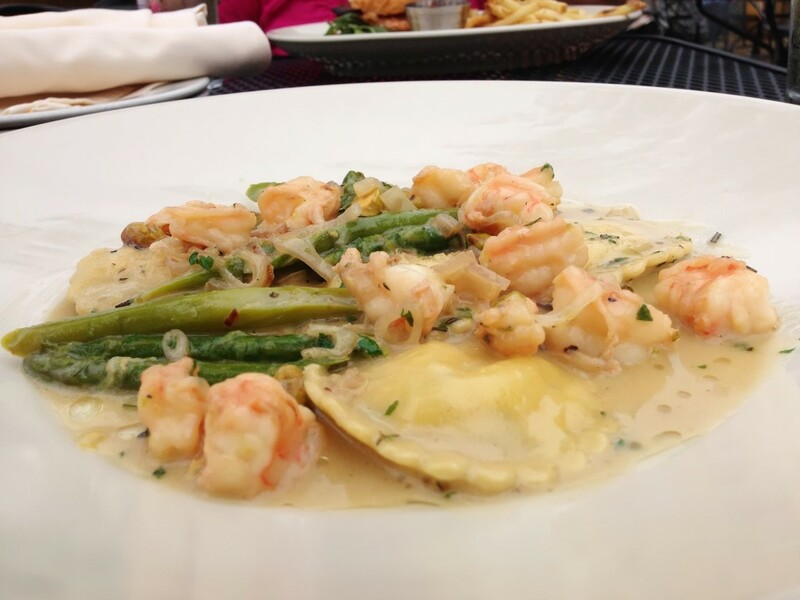 The asparagus, shrimp and sauce were tasty, but I didn’t like the ravioli at all. If you like blue cheese, you’ll probably think it tastes just fine. I do have to give the restaurant credit. I had basically eaten most of the ravioli by the time I mentioned it to the waiter, so they didn’t offer me a different dish. But they did offer me a free dessert. I didn’t need dessert after lunch, but I took them up on the offer in a to-go box. I chose the carrot cake since it was the dessert most likely to make it through a to-go walk home and then a few hours at my home before I ate it. It was ok. I probably would have liked the other desserts better, but I didn’t want to mess with ice cream or cobbler. Even with the less than ideal meal on my last visit, I still highly recommend the restaurant. No one likes everything on every menu, and I just didn’t pick well this time. I’ll definitely be back and will continue exploring their menu. Maybe they’ll even add Sunday brunch eventually. Now that would make my day.